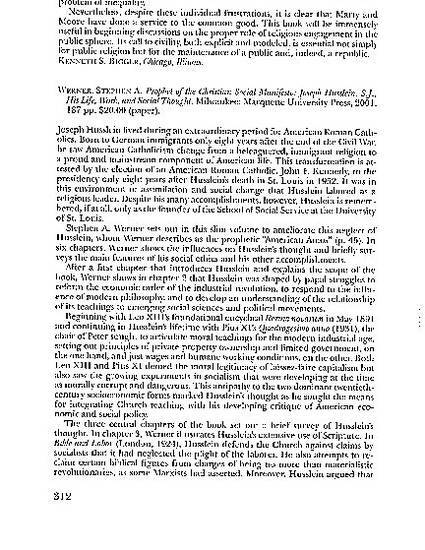 Kevin P. Lee, Prophet of the Christian Social Manifesto: Joseph Husslein, S. J. His Life, Work, & Social Thought, J. Religion, March 2002, at 312 (book review).